Once the holiday season is over it can feel like there’s nothing ahead except long dark nights and freezing cold days. We think there’s no better time than in the heart of the winter lull to slow down and get cosy with your favourite chill tunes and gentle winter warmers. With that in mind we welcome you to SOUNDS LIKE… a new series that will scour the music-loving minds of the Tracks & Fields team on a different theme in each edition! For this first instalment we quizzed our staff about their top songs for cold days and trusted winter warmers. A Spotify playlist of all 11 tracks is below (be sure to follow us there don’t already! ), but first our team personally introduces some of their favourites. This was my soundtrack for winter 2018/19. It’s a classic I have not heard it for a long time, but when I spent three weeks in Thailand I heard it quite often in various beach bars on several islands. Disclosure released Where Angels Fear To Tread last year, and I instantly thought I’d like to listen to it in winter as the voices sampled in the song have a ‘warm temperature’ in a musical sense. The original song is even warmer and it literally heats up the cold atmosphere when I listen to it. It makes me feel as if i’m sitting in front of a fireplace. This reminds me of when I first moved to Berlin in the middle of winter. It was a real motivator that even though I was in this cold new place everything was going to be OK. This whole album feels winter-y to me. It’s sparse and quite dark, but occasionally has a little glimpse of hope. Plus, this song has ice in the title. Khruangbin realised their first album The Universe Smiles Upon Us in the winter of 2015, and no song says winter warmer like “Two Fish and An Elephant.” This album was the soundtrack to my winter and their second album Con Todo El Mundo, released in 2018, was the soundtrack to my last summer. I guess they’re a band for every season. This song from Swedish duo FLORA immediately made me think of cold, wintry landscapes the first time I heard it. The video they released then followed suit visually, with ice-covered pine forests and mysterious snowmobile escapades. There’s a scene in the original motion picture The Horse Whisperer where you see a beautiful landscape of snowy mountains, the sun rising and girls riding horses. 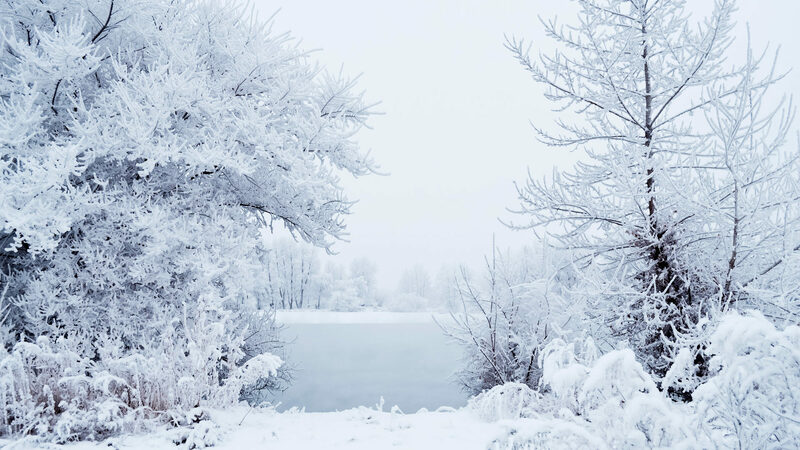 The music is made only of piano and violins but it is the perfect track to represent how quiet and calm the winter season can be.